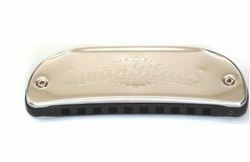 10 hole 20 tone blues harmonica; phosphor bronze reeds, brass reed plate, brass cover plate, boat-shaped. The Mouth Organ offered by us is commonly valued for its optimum quality sound with single or multiple holes as per the option of our treasured consumers. Our product have really good sound and thus these are the perfect choice of our prestigious clientele. These products are available at a very economical market prices. Owing to the rich industrial experience and expertise in this business, we are engaged in providing Mouth Organ. Backed by enormous industrial experience, we are presenting an extensive array of Musical Mouth Organ. Our organization is well known in the industry, engaged in offering a broad range of Mouth Organ to our prestigious clients at very reasonable prices. We are highly acknowledged organization engaged in presenting a remarkable range of Kids Mouth Organ. 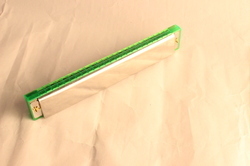 - Beginners Harmonica for blues, rock and folk.